Preparing For Our Children's Future: Kidorable giveaway @ Mommy Katie! 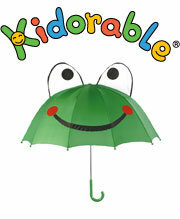 Mommy Katie has a giveaway for a Kidorable umbrella! Yippee! Giveaway ends Oct. 24th!